Stay up–to–date with news, events, and activities — view the OT Department Blog. As an occupational therapist, you'll help people regain and maintain their independence in all areas of their lives. Occupational therapy is needed when a person's ability to live independently, to care for personal needs, and to participate in work, school, family and community life is disrupted by illness or injury. Occupational therapists also provide education and training for wellness and prevention concerns. Occupational therapists work in schools, skilled nursing facilities, clinics, and hospitals, as well as alternative service delivery models (e.g., prisons, community mental health agencies and business/industry). Because of the one-on-one attention students receive and the "early and often" approach to hands-on learning, our graduates are in high demand. Graduate surveys indicate between 97 percent and 100 percent of graduates are employed as occupational therapists after one year. Many students have employment offers before graduation. According to the Bureau of Labor Statistics, employment for occupational therapists is expected to grow by 29 percent over the next decade, a rate much faster than average. The M.S. Occupational Therapy program is located in the Health Science Center located in the BlueStone development about 1 mile from the Duluth main campus. BlueStone is a vibrant new retail and housing development featuring BlueStone Lofts and BlueStone Flats, premium on-site housing options for students. The Health Science Center at BlueStone includes state-of-the-art labs and classroom space, as well as study and lounge areas. It also features maurices Community Clinic, an interdisciplinary clinic where students receive supervised hands-on experience working with uninsured or underinsured individuals. "The College of St. Scholastica Occupational Therapy department was the perfect fit for me, both personally and professionally. The on-campus clinic, high level of community involvement and knowledgeable professors were essential in helping me develop my skills to be a confident entry-level practitioner." "The OT faculty and curriculum at St. Scholastica prepared me very well for the certification exam, as well as transitioning from student to Occupational Therapist. 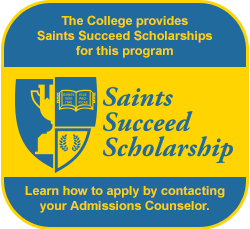 I believe attending St. Scholastica put me a step ahead and I was employed before I graduated."